As the largest city in South Dakota (SD), Sioux Falls has a long history that dates to Native American tribes that settled near the Big Sioux River. Today, the city is a busy commerce hub populated with Fortune 500 company offices, residential developments and parks. It’s also a city on the forefront of sustainability efforts nationwide, thanks to the zealousness of its 160,000 environmentally minded residents in the four-county region. Writing articles. A recent article discusses recycling options, including batteries, for owners of multi-unit housing facilities. Web site. 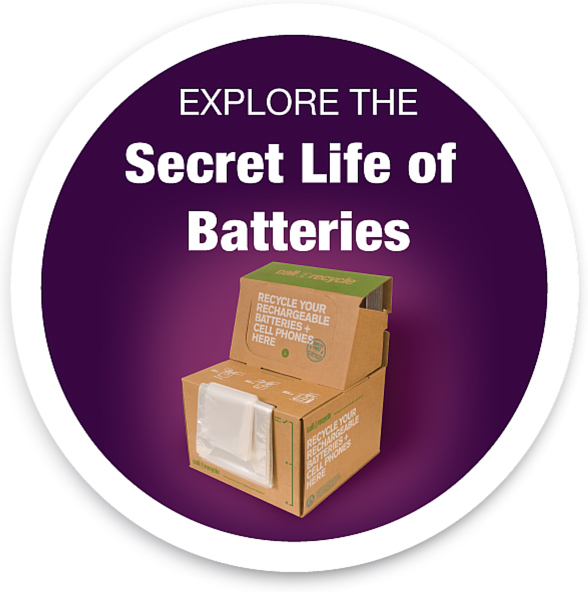 The city’s comprehensive battery recycling and web site list a wide variety of information, including the city’s sustainability master plan, detailed battery recycling brochure and a current list of waste hauler rates so that residents can choose those that are environmentally responsible. Look them in the eye – The sustainability team of two attends about 40 local events each year to answer questions about sustainability and recycling, including battery disposal. The events range from a Parks & Recreation summer activities fair to a Water Festival where 4th graders learn how proper household hazardous waste disposal protects water quality. This year the city is sponsoring its first Earth Day event, which will feature an exhibit of art made from recyclable materials created by local university art students as well as information booths. 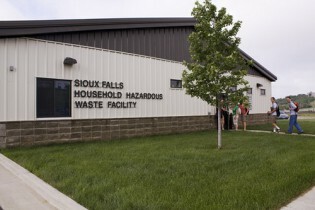 Convenient HHW facility – Sioux Falls has the only HHW facility in SD. It’s open 5 days a week (closed Sun/Mon). Last year it collected 2 million pounds of recyclable materials, including electronics, paint and batteries (both alkaline and rechargeable). Drop-offs are free for residents in the five county area; businesses pay a discounted rate. In 2014, 27,000 residents, or nearly a fifth of the population used the facility. Most of the rechargeable batteries come from portable power tools and toys; they also collect cellphones. The city recently added alkaline batteries to its collection program. Free giveaways – Sioux Falls hosts a re-use room at its HHW facility. Residents that drop off electronics, paints or other reusable items are asked to fill out a registration form that enters them into a drawing for a donated (but working) TV. This generates lots of interest in the community notes Lantgen, who then uses social media to promote the giveaway winners. Tweet! Tweet! – Residents are invited to get the latest news on Twitter (@SFLeadingGreen) and Facebook (Gogreensf). The communication stream is affordable and gives the team a chance to interact directly with the public. They also use social media to promote events, give out tips and announce giveaways.